Camilla Reis Cavalcanti Gois (Brazil), is crowned Miss Tourism Queen International 2018. She is flanked by Victoria Romanova (Tatarstan) 1st runner-up, Rachel Corinne Nimegeers (Belgium) 2nd runner-up, Andrea-Sinziana Sirghi (Romania) 3rd runner-up and Chatrthira ‘Morgane’ Michas (Thailand). 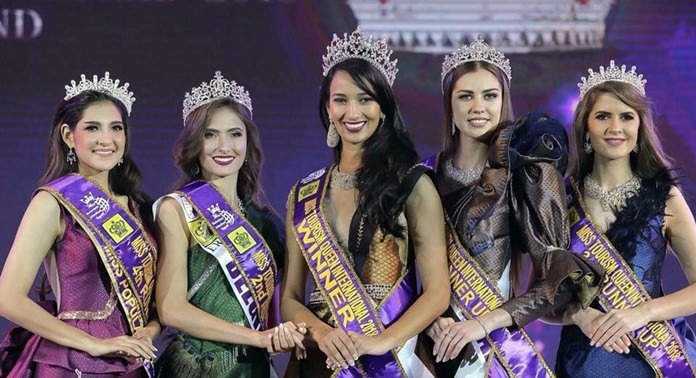 Pattaya added another achievement to its placement in the tourism calendar, with local girl Morgane Michas a runner up in the Asia-Pacific world finals of the Miss Tourism International contest, entitling her to be Thailand’s Ambassador to the tourism world. 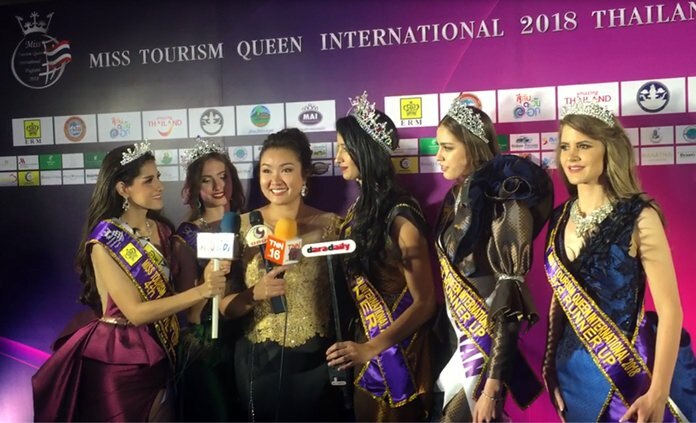 Miss Tourism International is an annual international beauty pageant run by the D’ Touch International Sdn. Bhd. Foundation. The pageant was first held in 1994 in Kuching, Sarawak, Malaysia, where 23 contestants competed. In 2006, the contest was held outside of Malaysia for the first time, in Guangzhou, China. This time, the Pageant finals were held in Bangkok, with the winner coming from Brazil, and the Thailand entrant Morgane Michas awarded 4th Runner-up, to qualify her to travel the world as Thailand’s ambassador in this important sector as a Miss Tourism International finalist for the next 12 months. It was significant to those watching that after the contest was over Morgane gladly put her hand up and acted as translator on-the-fly for the local Thai media in Bangkok to help interview the winner from Brazil and other runners up not fluent in Thai language so that that the media could fulfill their business commitments and tell the story over the local media the next day on TV in the newspaper blogs and morning TV shows. 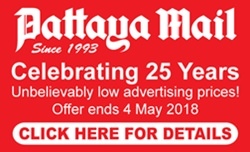 That is the level of commitment that Pattaya needs as its Ambassador, and Morgane has shown she has the credentials to carry out this onerous task. Morgane has a wonderful journey ahead of her and the Pattaya Mail is proud to see a young girl from our home city representing all of Thailand to the world. Morgane looks stunning in the swimsuit competition.